I blog there regularly and announce special events and special sales. 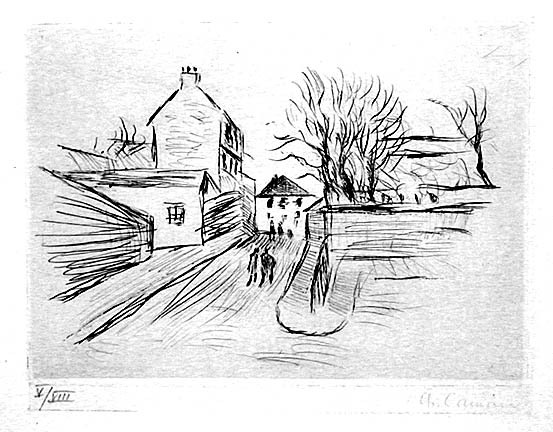 Impressionist and Post-Impressionist Prints and Drawings: Prints by Pierre Bonnard, Georges Braque, Charles Camoin, Mary Cassatt, Paul Cezanne, Henri Edmond Cross, Edgar Degas, Sonia Delaunay, Maurice Denis, André Derain, Susanne Duchamp, Raoul Dufy, Jean-Louis Forain, Pauk Gauguin, Marie Laurencin, Edouard Manet, Pierre Matisse, Berthé Morisot, Pablo Picasso, Pierre Auguste Renoir, Geeorges Rouault, Ker Xavier Roussel, Paul Signac, Henri Toulouse-Lautrec, Suzanne Valadon, Maurice de Vlaminck, James A. McNeill Whistler, and others. 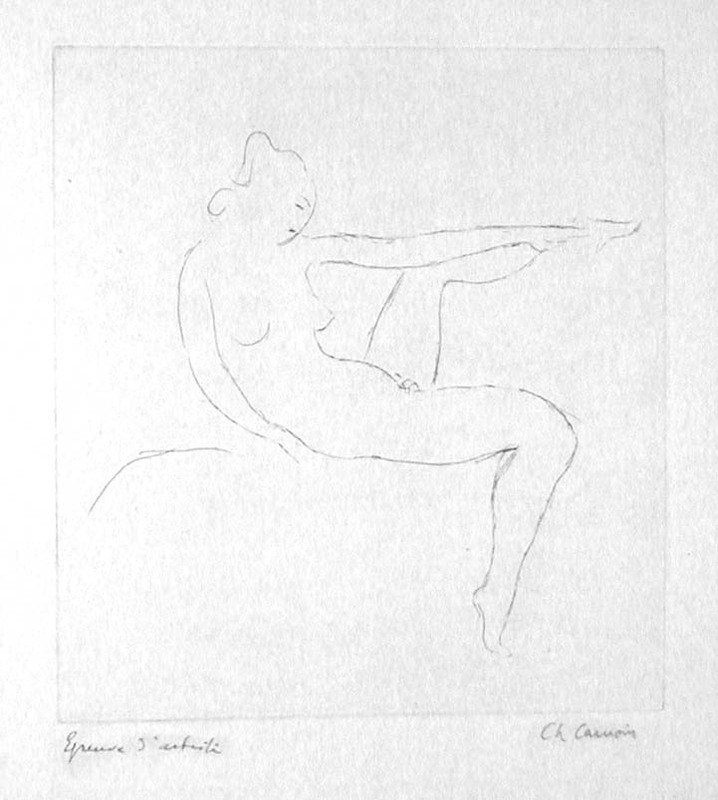 Drawings by Albert Besnard, Andre Barbier, Henri Edmond Cross, Jean-Louis Forain, Eva Gonzales, Marie Laurencin, Maximilien Luce, and Georges Rouault. Hand-colored prints by Mary Cassatt, Marc Chagall, Sonja Delaunay, Joan Miró, Henri Matisse, and Pablo Picasso. For a review of the show that concludes, "Art exhibits in Madison rarely get this good," click review. Camoin was born in Marseilles and met Matisse in Gustave Moreau's class at the Ecole des Beaux Arts in Paris. Matisse and his friends (including Camoin, Henri Manguin, Albert Marquet, and and Georges Rouault), joined by André Derain and Maurice de Vlaminck, two close friends then sharing a studio, and slightly after by Braque, Dufy, and Kees van Dongen, formed the original group mockingly labelled the Fauves (the wild beasts) for their wild, expressionist use of color and their general refusal to paint like anyone else then showing at the salons. Camoin always remained close to Matisse, whose portrait he painted and which is in the permanent collection of the Pompidou Museum in Paris, but he also came to admire Cezanne, Renoir, and Bonnard. His work has been shown widely in France and is in such major collections as the Musee d'Art Moderne de la ville de Paris and the Petit Palace (also in Paris) in addition the the Pompidou and many of the French regional museums. In 1955 he was awaarded the Prix du President de la Rupublique at the Biennale of Menton. Bibliography: Corinne Diserens, et al. 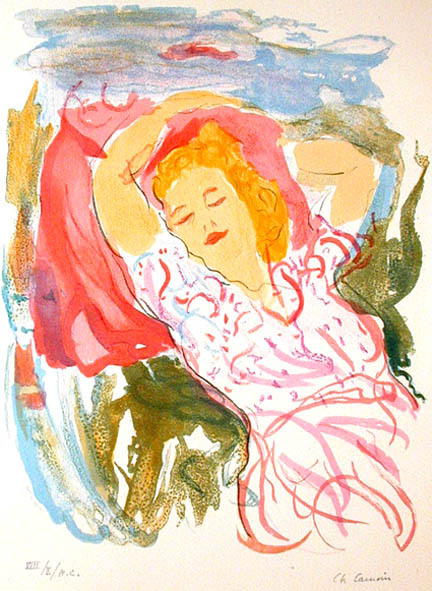 Charles Camoin: Retrospective 1879-1965 (Lausanne: Fondation de l'Hermitage, 1997); Daniele Giraudy, Charles Camoin, Sa Vie Son Oeuvre (Marseille: La Savoisienne, 1972). Rue de Montmartre. Original drypoint. Edition uinknown); our impression is one of xiii roman numeral impressions. Image size: 144x185 mm. Price: $1250. Figure study. Original drypoint. Edition unknown; our impression is signed and annotated an artist's proof. Image size: 178x164 mm. Price: $1250. Portrait. Original color lithograph. Edition unknown; our impression is signed and annotated an H. C. proof. Image size: 265x212mm. Price: SOLD. To purchase, call us at 1-800-809-3343 (1-508-529-2511 in Upton MA & vicinity) or send an email to spaightwood@gmail.com.